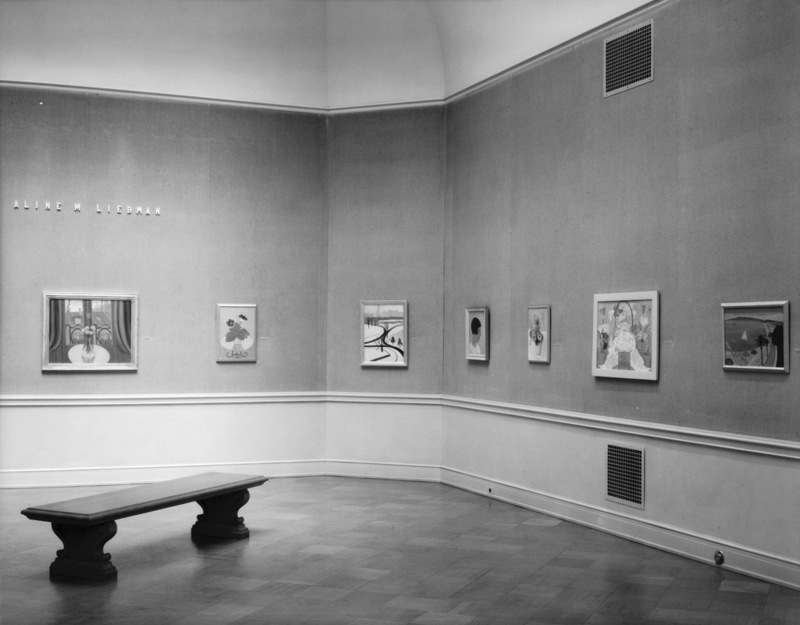 The Elise S. Haas Bequest: Modern Art from Matisse to Marini is on view at SFMOMA till June 2. Open Space is pleased to host a series of posts highlighting Mrs. Haas’s network of personal connections, from SFMOMA Assistant Curator of Painting and Sculpture Caitlin Haskell, and featuring graphics by designer Adam Machacek. 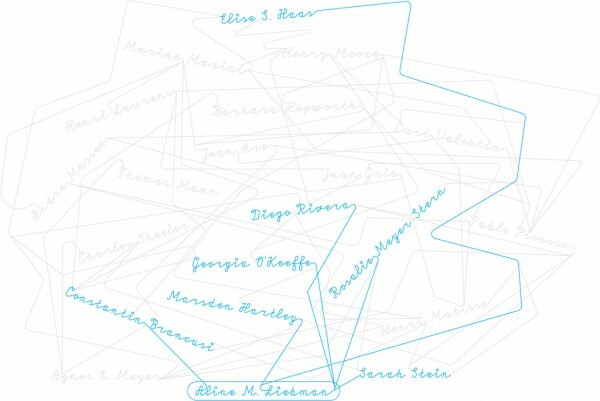 Aline M. Liebman diagram by Adam Machacek. Click image to enlarge. Click here to view interactive Haas Bequest diagram. Agnes Meyer was not the only family member Elise Haas could turn to for inspiration and advice on being an arts patron. Elise’s aunt, Aline Meyer Liebman (1879–1966), was also an important role model. A New York–based collector of modern art, Aline was also a practicing artist who studied photography with Clarence White and exhibited her paintings in a solo exhibition at the San Francisco Museum of Art (as SFMOMA was known) in 1937. 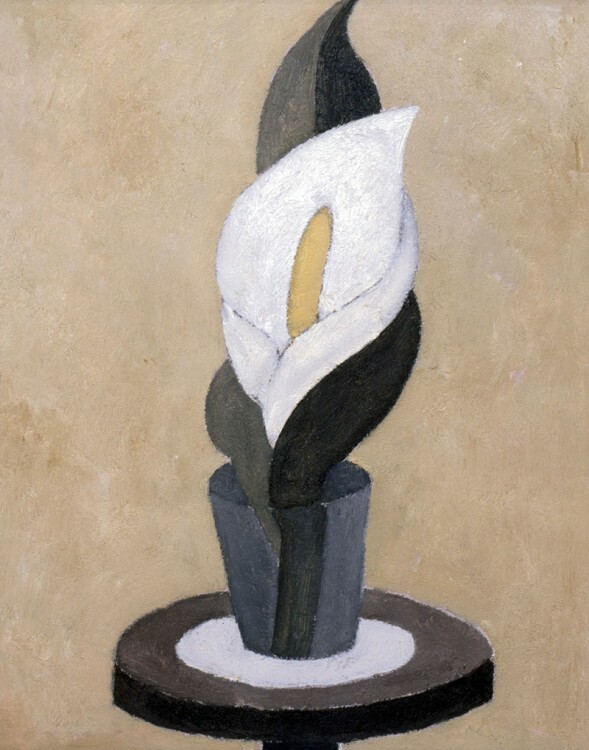 Her imprint on the Haas collection is seen most directly in two works by celebrated early twentieth-century American artists: Marsden Hartley’s Lily (1916–17) and Georgia O’Keeffe’s Petunia (1925). 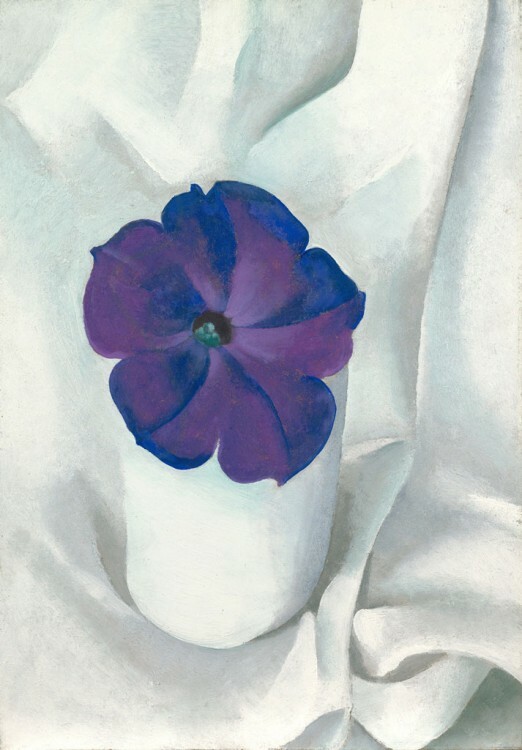 Stieglitz and Liebman also played a key role in bringing O’Keeffe’s Petunia into the Haas collection. As early as April 1921, when O’Keeffe’s work was still little-known, Stieglitz had written to Liebman offering to introduce her to the paintings and assuring her that “It is really very worthwhile seeing.” In short time, Aline had purchased her first works by O’Keefe, and Stieglitz reached out to her sisters Rosalie Meyer Stern (Elise Haas’s mother) and Florence Blumenthal to acquaint them with the artist as well. Both sisters became collectors of O’Keeffe’s work, and it was Rosalie we can thank for selecting the meticulous single blossom study Petunia and placing it in her daughter’s care. Support like Aline Liebman’s was crucial and rare in America in the early decades of the twentieth century, when advanced visual styles were slow to gain a popular following. In addition to championing artists in Stieglitz’s circle, she was among the earliest supporters of the Museum of Modern Art, New York. She loaned paintings from her collection to the fledgling museum in January 1930 and ultimately shared with them paintings and sculptures by Brancusi, Diego Rivera, Picasso, John Marin, Maurice Vlaminck, Paul Gauguin, and O’Keeffe. Aline’s interest in Rivera was said to have been stimulated by SFMOMA’s great early patron Albert Bender. Best known for his murals, Rivera was also an accomplished and innovative easel painter, and Elise’s family owned work by Rivera in both styles. His Kneeling Child on Yellow Background (1927) appears in the first gallery of the exhibition and, like Petunia, was a work that entered Elise’s care from her mother’s collection. In the spring of 1931, during Rivera’s eight-month residency in San Francisco, Rosalie Stern invited the artist to stay at the family home in Atherton, where he was commissioned to produce a wall-size fresco. As Elise recalled, the inspiration for this mural came from a drive she and the artist took through flowering almond groves in springtime. 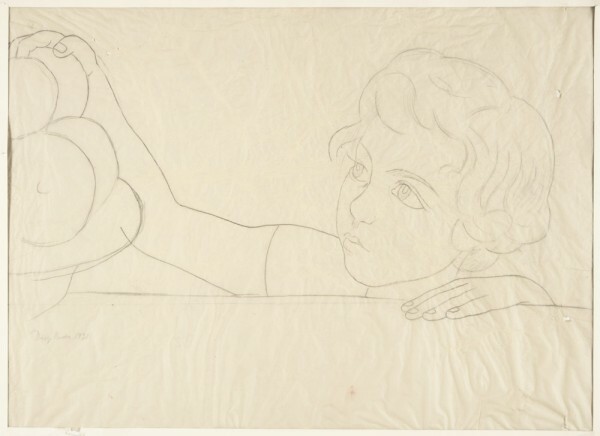 While working out the composition, Rivera made several studies of Mrs. Haas’s young children, Peter, Rhoda, and Walter Haas, Jr., that were used for the figures in the fresco’s foreground. 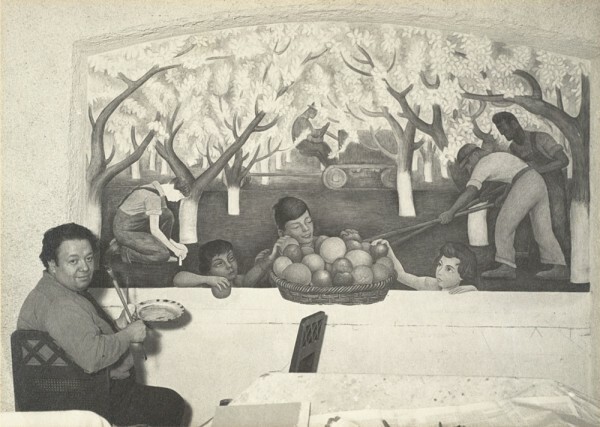 Like many of Rivera’s murals that were intended to be seen in a gallery context, this fresco was created on a portable steel frame. When her mother died in 1956, Elise arranged to have the work moved from the family home and installed in UC Berkeley’s Stern Hall. Caitlin Haskell is SFMOMA assistant curator of painting and sculpture. After collaborating on several projects, graphic designers Adam Macháček, Sébastien Bohner, Petr Bosák and Robert Jansa (formerly Welcometo.as and Advancedesign.org) started a new partnership called 2011 Designers, with the conceit that the name will change annually (www.2013designers.com). They have engineered a process of working together online while in separate locations – their studios being located in Berkeley, California; Lausanne, Switzerland; and Prague, Czech Republic. Their work includes printed publications, exhibition design, type, posters, and illustration, for clients mostly in the field of culture. Further reading on Aline Liebman and Rosalie Meyer Stern: Margaret Liebman Berger, Aline Meyer Liebman: Pioneer Collector and Artist (W.F. Humphrey Press, 1982) and Elise Stern Haas and Harriet Nathan, The Appreciation of Quality (Berkeley: Bancroft Library, Regional Oral History Office, 1979). Follow the Currents Within a Collection: An Alternative History of the Elise S. Haas Bequest series here. Thank you this is fascinating. I’ve been attempting to research Aline Meyer Liebman as one of the Artists whose work was shown at the 1943 Exhibition by 31 Women. Her own support for photography as modern art was crucial to Stieglitz, it’s good to see her involvement with other artists being acknowledged.